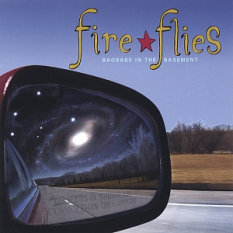 Fire Flies [2002-2008] met and formed their groove-sparked pop band in the music department at the SUNY Purchase. They recorded their first release, "Baobabs in the Basement," (2003) in their dorm room over the course of a semester. Essentially joyful and buoyant, BITB serves up Fire Flies' response to love and betrayal in cadences that lift and melodies that soar; while the lyrics, melody, and groove of their sophomore album, "Two New Sciences!" (recorded in their basement in Brooklyn and released in June of 2007) has a much darker and more raucous desperation. A four piece ensemble, they squeak, scream, sing and cry out with a good-humor and unaffected innocence that despite itself engages and infects the psyche with a super modern sound. Influenced by artists like the Flaming Lips and David Bowie, the group describes itself as a blend of the two with a hint of hip-hop added to the mix. “Bowie, Beatles, Buzzcocks, Byrds, to all these 'B's' add the word 'beautiful'. Their harmonies are resonant and their songs filled with effervescent pop-like light caught in a bottle.” says Lenny Kaye, guitarist, producer and rock anthologist. Unfortunately, this beauty could not last. The group announced they were parting ways on December 1, 2008. .